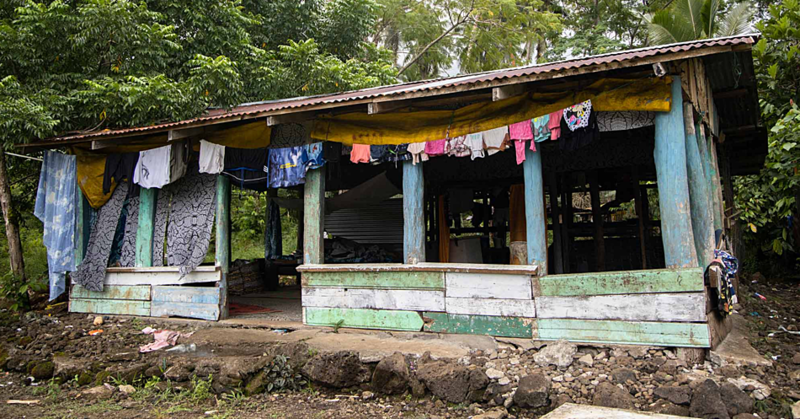 While Samoan families are attending church and settling down to their traditional Sunday lunch, there are tourists wandering around looking for a place to brunch. There are not a lot of cafes open on a Sunday, so when Cass and Irene of New Zealand happened to stumble across B.N.H.Q. in town opened and serving, they were delighted and sat down to check out what was on offer. Over coffee, the girls told Dear Tourist about their plans. 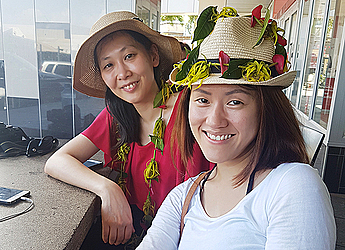 Originally from Malyasia but living in New Zealand, both Cass and Irene were guided to Samoa by recommendations of close friends and colleagues. “We have friends from New Zealand who have been here before and they told us it was a really nice place to visit,” said Cass. “It came highly recommended by them and some of them have been here multiple times already. Our colleagues told us of their experience in other islands like Fiji and Vanuatu and from there we decided that we didn’t want to go somewhere too commercialized and that’s why we chose Samoa. Irene added seeing pictures of the beautiful Tosua trench also helped them decide on their destination. “The trench, it’s really quite amazing. We kind of thought it would be great to come over and have a look for ourselves,” she said. 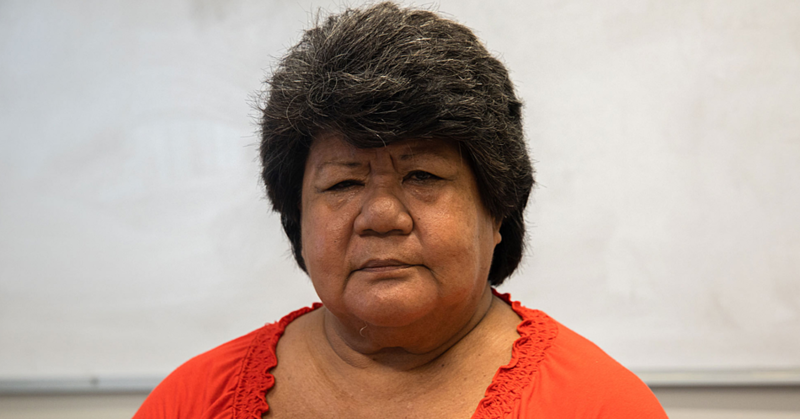 Cass continued, saying she was glad they had chosen to come to Samoa. Accepting that Sunday is a day of rest for most Samoans, the girls took the opportunity to mull over their plans for the next couple of days. “We are going to go all around Upolu and visit the trench, the waterfalls, the beaches and then we are going to go to the other island, Savai’i in a couple of days and spend maybe three nights there at Stevensons Hotel. Two of our friends recommended this hotel,” said Cass. 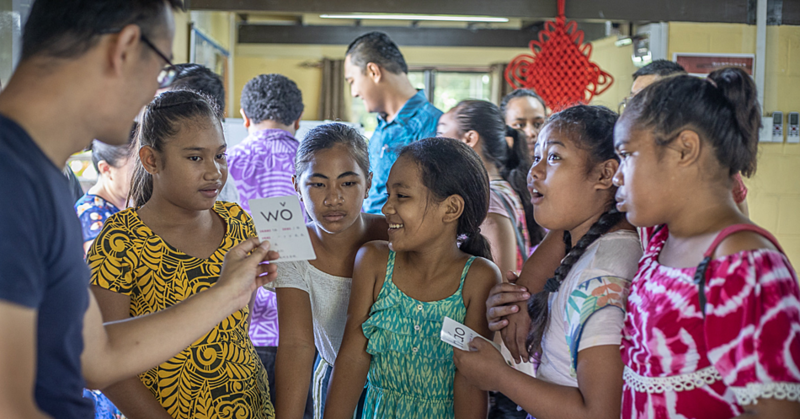 Even though the girls hadn’t been here for very long, they shared their first impression of Samoa which began long before their plan touched down on Samoan soil. “We haven’t been here long, but our first impression even from just the view from the plane before we landed, I thought it is beautiful,” said Irene. Being of Malay descent, the girls mentioned that while taking in the view of the villages, they felt that they were looking at Malaysia many years ago and it made them feel at home.